Public officials switched on a 50-foot long, 130-ton tunnel-boring machine Monday and made the first grinding cuts into a retaining wall that will eventually become the fourth bore of the Caldecott Tunnel, project spokesman Jeff Weiss said today. During a commencement of drilling event held on the east side of the tunnel, Federal Highway Administrator Victor Mendez and Caltrans Director Cindy McKim were the first to climb up a ladder and switch on the giant machine, known as a road header. State Sen. Mark DeSaulnier, state Assemblywoman Nancy Skinner, Metropolitan Transportation Commission Commissioner Amy Worth, Contra Costa Transportation Authority Chair Robert Taylor and Oakland City Councilman Larry Reid also attended the event, Weiss said. Crews plan to grind about two-thirds of the way through the mountain from the east side and then, early this fall, they will bring in two smaller boring machines and begin drilling through the mountain from the west side as well. Because the rock is relatively soft, crews will have to stop about every three feet to build support, Weiss said. They expect to be able to drill only about 10 feet a day. 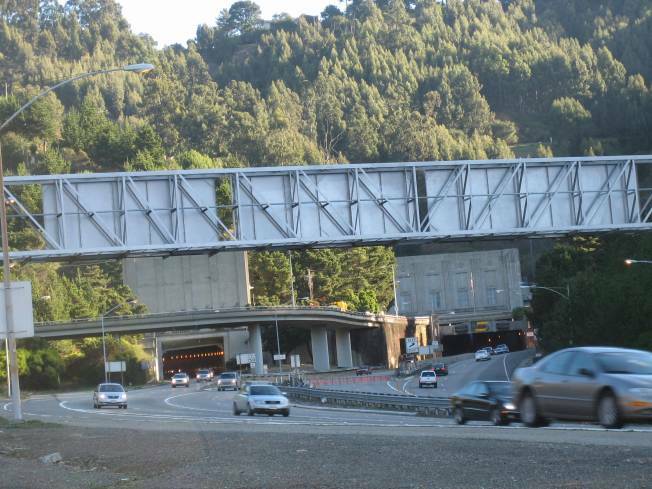 The four-year, $420 million project will alleviate traffic congestion on state Highway 24 between Oakland and Contra Costa County and create more than 5,000 construction jobs. The project is expected to be complete in late 2013 or early 2014. Nearly half the project, $197.5 million of it, is being funded by money from the American Recovery and Reinvestment Act of 2009.